SKS Triangle BagsTriangular frame bag made of sturdy material offers space for tools and spare inner..
SKS LUBE YOUR CHAIN - Chain Lube Including ApplicatorTo maintain the best »frame«-work conditions, u..
Mudguard set for front and rear: – 35 - 60mm with fixed bridges – 3 mm stainless steel stays – fr..
Mountain or road? The SKS drinking bottle’s cool design points the way. The secure push-pull valve e..
SKS AIRKOMPRESSOR 12.0The new high-performance pump for every occasion. Alongside its outstanding va..
SKS BEAVERTAIL XL SETEspecially for all mountainbikes. The BEAVERTAIL Dirtboard is now also availabl..
SKS RACEBLADE PRO BLACK / SKS RACEBLADE PRO MATT BLACK (stealth series)The ulimate clip-on mudguard ..
SKS TOM 7This slim mini tool made of metal combines the most important tools in one extremely compac.. 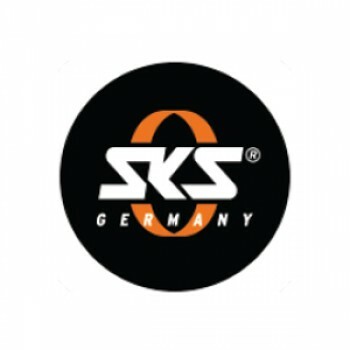 Whether city or off-road, no matter where you travel, the SKS VELO mudguards are a reliable companio..